These 2CD and 2LP formats features a further 7 tracks of different takes giving a further 40 minutes of music. 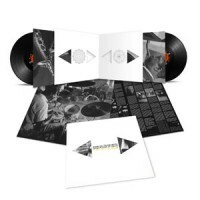 June 8, 2018 (New York, NY) – On March 6, 1963, John Coltrane and his Classic Quartet— McCoy Tyner, Jimmy Garrison, and Elvin Jones –recorded an entire studio album at the legendary Van Gelder Studios. This music, which features unheard originals, is now finally released 55 years later. This is, in short, the holy grail of jazz. The first week of March in 1963 was busy for John Coltrane. He was in the midst of a two-week run at Birdland and was gearing up to record the famed John Coltrane and Johnny Hartman album, which he did on March 7. But there was a session the day before that was the stuff of legend, until now. On Wednesday, March 6, Coltrane and the quartet went to Van Gelder Studios in Englewood, NJ and cut a complete album’s worth of material, including several original compositions that were never recorded elsewhere. They spent the day committing these to tape, taking time with some, rehearsing them two, three times, playing them in different ways and in different configurations. At the end of the day, Coltrane left Van Gelder Studios with a reference tape and brought it to the home in Queens that he shared with his wife, Naima. These tapes remained untouched for the next 54 years until Impulse! approached the family about finally releasing this lost album. Though the master tape was never found—Rudy Van Gelder wasn’t one for clutter—the reference tape was discovered to be in excellent condition. As the legendary saxophonist Sonny Rollins so rightly put it, “This is like finding a new room in the Great Pyramid.” The musical implications of this album, the original compositions, the arrangements, the band, the year it was recorded, all amount to a rediscovery and re-contextualization of one of the most important musicians of our time. On this album, there are two completely unknown and never-before-heard originals. “Untitled Original 11383” and “Untitled Original 11386,” both played on soprano sax. “11383” features an arco bass solo by Jimmy Garrison, a relative rarity, and “11386” marks a significant structural change for the quartet, in that they keep returning to the theme between solos, not typical in the quartet’s repertoire. In addition to the two unheard originals, “One Up, One Down” – released previously only on a bootleg recording from Birdland – is heard here as a studio recording for the first and only time. It contains a fascinating exchange between Elvin Jones and Coltrane. “Impressions”, one of Coltrane’s most famous and oft-recorded compositions, is played here in a piano-less trio. In fact, McCoy Tyner lays out a number of times during this recording session. It’s one of the more interesting aspects of this session and reflects the harmonic possibilities that Coltrane was known to be discussing regularly with Ornette Coleman around this time. This studio session also yielded Coltrane’s first recording of “Nature Boy,” which he would record again in 1965, and the two versions differ greatly. The one we know is exploratory, meandering. This version is tight, solo-less and clocking in at just over three minutes. The other non-original composition on the album is “Vilia,” from Franz Lehár’s operetta “The Merry Widow”. The soprano version on the Deluxe Edition is the only track from this session to have been previously released. This incredible, once-in-a-lifetime discovery reveals a number of creative balances at work, like developing original melodies while rethinking familiar standards. Like trying out some tunes first on tenor saxophone, then on soprano. Using older techniques like the arpeggio runs of his “sheets of sound” while experimenting with false fingerings and other newer sounds. This session was pivotal, though to call it such overlooks the fact Coltrane was ever on pivot, always pushing the pedal down while still calling on older, tested ideas and devices. 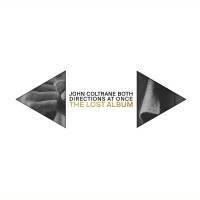 Both Directions at Once: The Lost Album is a major addition to the Coltrane catalogue and the most important jazz discovery in recent memory.